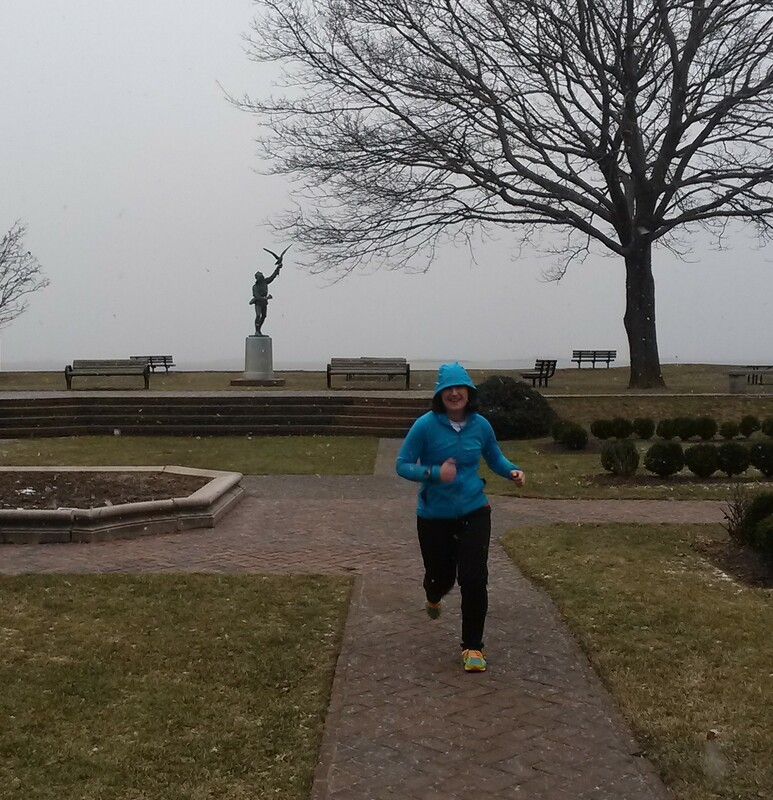 A few hours ago, I ran my last mile of 2014! Then I ate my last burrito of the year, and now the final blog post. We’re having a pretty low key new year’s over here: just some relaxing on the couch, catching up on the walking dead, and plowing through episodes of buffy the vampire slayer. Can you think of a better way to ring in the new year? I really can’t. Although, one of these days I would like to find a race that starts at 11:45pm, so I can run right into the next year. Anyone else interested in this, or is it just me? These feet have run their last 2014 mile. Now, time for some administrative detail, aka: the last time you have to hear me yapping about 2014 resolutions! One thing I think I learned this year is that keeping monthly tabs on my resolutions is a bit excessive. For 2015, I’ll give less frequent check-ins, but more on that later…like, when I get around to a resolution post. All in good time, folks. Let’s hop back to my list of resolutions, taken directly from my original post about it way back in january. 1.) Complete a 1/2 Marathon in Under 2 Hours – DONE! This is the first one I knocked off the list back in April. I put in a LOT of work for this one, and it was awesome, and hard, and so worth it! 2.) Keep up with my Running Blog – DONE! I’d say I get a big fat A on this one! Specifically, I wanted to post regularly, and also follow and comment on other blogs. I totally did both. 3.) 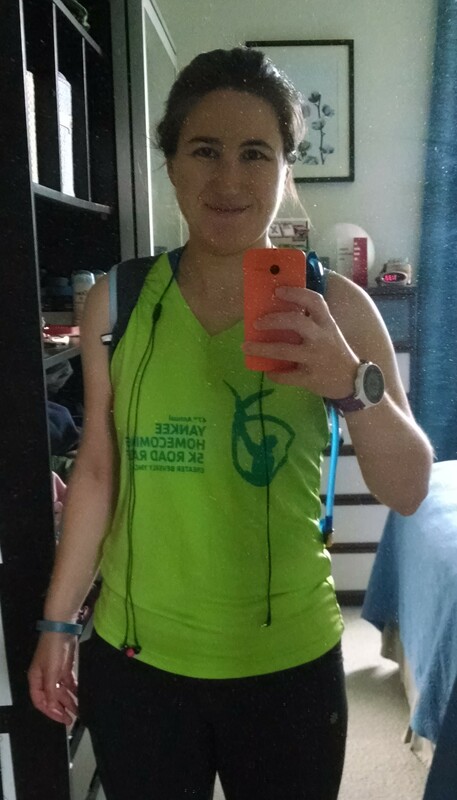 Run a Marathon – I spent more than half a year deciding whether or not I wanted to do it, and then DONE! Training was good, but man was the race a rough one. I didn’t hit any of the time goals I set (even the “easy” ones), but hey done is done, right? 4.) Keep a Running Journal – I tried. I hated it. DONE! 5.) Join a Running Club – NOPE. I made an effort at this one, but then I backed out. How antisocial is it to not join a running club because I think I’ll probably move away in the next year, so I don’t want to bother meeting new people? That sounds bad, doesn’t it? It’s totally on the list though, for when I do move, and want to meet new people in my new place. 6.) Volunteer – DONE! And it was kind of fun. If another opportunity presents itself; I’d do it again. I’ll need to find some more free time first, though. 8.) Beat Jeff’s 5k PR – NOPE. I didn’t do any 5k specific training, but last year, I got faster anyways. I guess now that I’m 30, that doesn’t happen anymore. haha! Next year though…5k, I’m coming for you! All in all, not too bad! How’d you do on your 2014 list? Chances are, I already know…I swear, I’ve read a million 2014 resolution wrap-up posts! For those of you haven’t written one, but plan to, I look forward to reading it! 2014 Resolution Check-In – It’s November Already?! You can find the detailed list here. 2. Keep up with my Running Blog – Success! – I’m killing it at this one. 3. Run a Marathon – Check! Most recent resolution crossed off the list. My form looks pretty similar to above….but I was going oh so much slower. 4. Keep a Running Journal – Done! I learned that running journals aren’t my thing. 5. 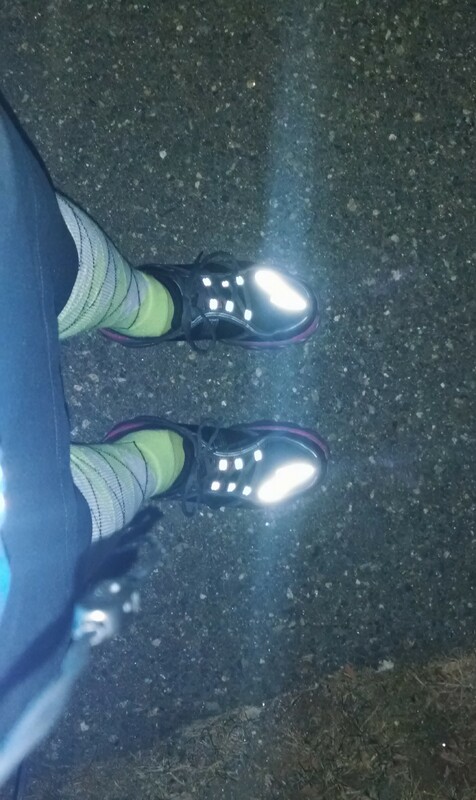 Join a Running Club – I decided that I’m not doing this…another year, I think. 6. Volunteer – Check! I stuffed packets like a boss! 7. Run 1000 miles – (Revised down from 2014k/1250 miles) – Working on it…about 135 miles to go. 8. Beat Jeff’s 5k PR – I’ve got two (maybe) holiday 5ks in mind. We’ll see how my legs are feeling after marathon recovery. So, that’s my progress so far. It’s crunch time! How are you doing on your resolutions? Done yet? Still keeping track? 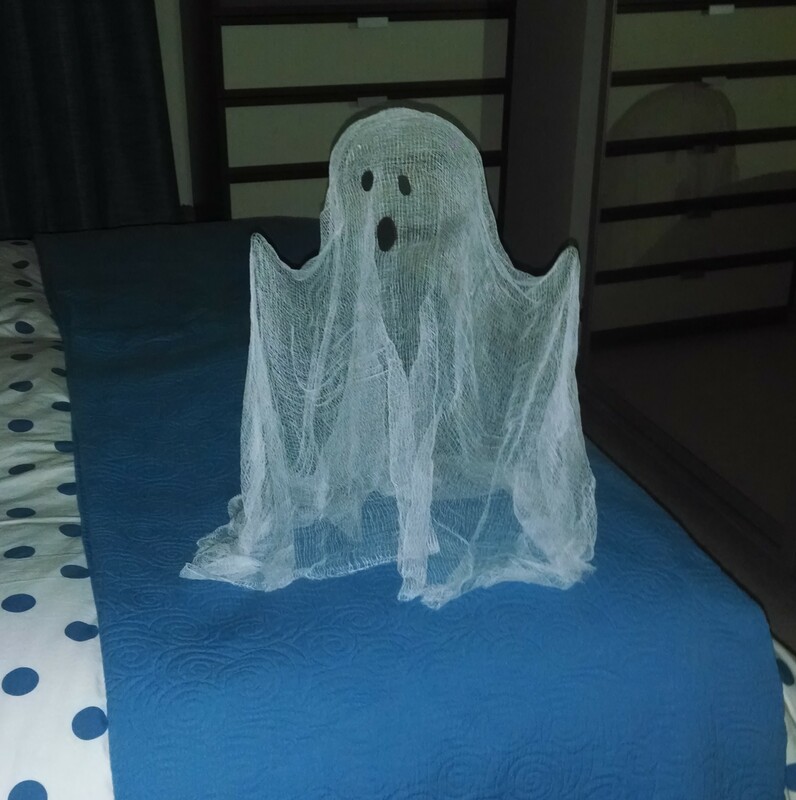 The ghost of unwritten blog posts…I’m haunted! 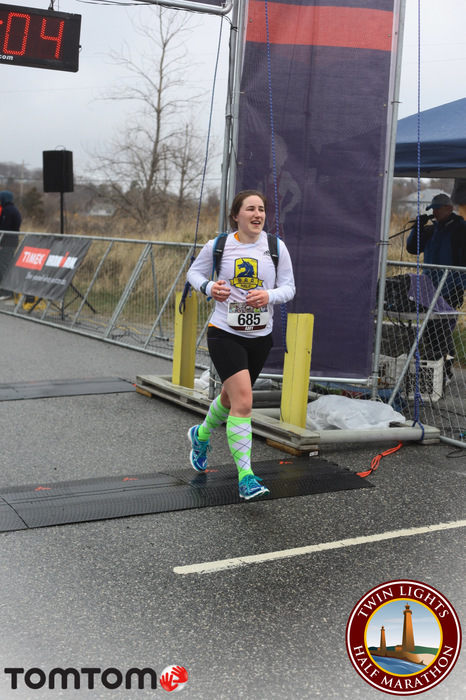 Moving on from that silliness….a little over two months ago, I tackled a running related New Year’s resolution of mine that didn’t actually involve running: being a race volunteer. It took me until August to do this because I was a tad incredibly lazy about looking for opportunities. And to be completely honest, I didn’t stop being lazy about it, the volunteer request just showed up in my inbox one day. I get lots of emails advertising area races, and one of them that came through had a “volunteer registration” button alongside “race registration”. I don’t think I’d seen this before, and if it wasn’t so easy to sign up I wouldn’t have thought to help out. Nice job, race director. Anyways, once I had signed up I got a call to confirm and to check my availability. Turns out they needed people to help get race packets together in the week before the race. That worked perfectly with my schedule, so I arranged to do that for a few hours a couple of days before the race. At the designated time, I drove to my local YMCA and found my way to race headquarters! Sounds exciting, but it was just the gym, with two people stuffing race packets. There was one other volunteer, an older man who admitted that his wife had added volunteering at the Y to his “honey do” list. Haha! The race was put on by the YMCA (but you probably already guessed that? ), and the other person stuffing packets was the Y employee in charge of putting on the race. This was her first time being in charge, and occassionally some of the people helping her would pop in when they had a free moment. Me running through the park where the race started. At a VERY different time of year. When I showed up, the race numbers were already stuffed into mini, race number sized envelopes with runner’s names on them. My first job was to put 4 safety pins in each one of those envelopes, and then stuff those envelopes into corresponding larger manila envelopes. It sounds super boring, but I had a good time. I enjoy repetitive tasks, I find them calming. Our next step was slightly more involved…we stuffed the manila envelopes with race shirts. This is where things got a little dicey, in my opinion. The first 100 runners were guaranteed a shirt, and their manila envelopes had a “T” on them to indicate this, as well as a requested size. Everyone else just had a size. As it turned out, the race director had ordered enough tshirts that everyone that registered would get one…but maybe not the size they requested. We started stuffing envelopes that had a “T” to ensure that if someone was guarenteed a shirt, they would get the size they requested. Then Ms. Bossypants showed up. 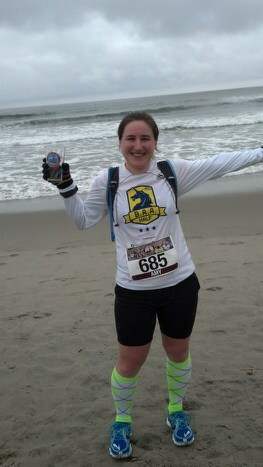 Ms. Bossypants was another Y employee who had experience with race planning, and had planned 7 other YMCA races. She came in and kind of took over the show. She started filling all the envelopes with shirts, regardless of a “T”, and had us all do the same. Eventually, we ran out of some sizes, and this resulted in some runners with the “T” not getting their requested size. This really bothered me. I didn’t think it seemed fair, so I tried my best to sneak around and switch shirts so that all the “T” packets had their requested size. It just seemed right that if you were guarenteed a shirt, you should have size priority over someone who is just lucky to get a shirt. Don’t you think? Notice how the logo on the shirt is the same as the park statue you can see in the picture above! Cool. Sweet shirt, right? They had ladies sizes, and ladies shirts were sleeveless. Probably one of the nicer race shirts I have, that fits…too bad I can’t claim I ran it. Aside from Ms. Bossypants cramping my style, I had a really good time volunteering. I would definitely consider helping out again, and probably will. The YMCA has a whole series of runs throughout the year, so there will be plenty of opportunities, it’s just a matter of scheduling. Do you enjoy repetitive tasks? What do you think – just stuff the envelopes as quickly as possible or give the “T” runners size priority? 2014 Resolution Check-In: Bring it, August! Somehow, July is over. Time flies when you’re having fun! So, here’s where I’m at with my resolutions (detailed list here). I started with a list of 8 goals, so far I have completed three: Run a 1/2 Marathon in Under 2 Hours, Keep up with my Running Blog, and Keep a Running Journal. I’ve changed my mind about one: Join a Running Club – I’m postponing this one for a while. I didn’t love the options the local club has for group runs, and right now I’m happy with the way my running schedule is and I don’t want to change it. I think this one may be coming off the to do list until the next time we move (not that we have set plans to move right now), and I want to meet new people. And the last resolution, I’ve made no effort towards, but I’m hoping it will just happen: Beat Jeff’s 5k PR, which is 3 seconds faster than my 5k PR from last December. He helped pace me to my PR, and we didn’t even realize how close he was to beating his PR, so I threw it on the list thinking, “Wouldn’t it be neat if….”. We’ll see what comes of it. I’m happy with my progress, and am excited to cross another one off the list in August. My title is stolen from April Come She Will – great song. Who doesn’t love some Simon & Garfunkel? Anyways, not to be confusing, I know it’s July, but this post is recapping my goals through June, so it makes sense. Plus, in June I got to the point of the year when I started asking myself why I wanted to do some of these things in the first place which makes the lyric even more appropriate. Because I’m changing my tune. Get it? Anyways, let’s see where I’m at (detailed list here). I just keep this same pic in every resolution post. You didn’t remember that until I mentioned it, did you? 3. Run a Marathon – Ummm, errrr….we’ll see. I MAY BE CHANGING MY TUNE. 4. Keep a Running Journal – Success? I did this for 3 weeks. I hated it. For quite awhile I thought I should try again, but I don’t think I’m going to. I think the training log I have is too intense for me, and it ended up making me feel bad about myself. 5. Join a Running Club – I emailed someone about this; that’s progress! 6. Volunteer – Nothing on this front. If I manage to ever get myself to a running club, they will have races for me to volunteer at. 7. 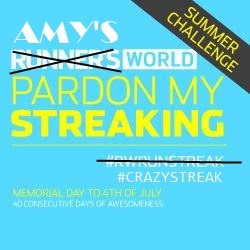 Run 1000 miles – I was at 444 miles by the end of June, so I have a little ground to make up. This is another goal I changed my tune on; originally it was to run 2014 km (1250 miles). 8. Beat Jeff’s 5k PR – Currently I have no plans to train for this effort, so we’ll see how that goes. So, that’s my progress so far. I don’t think I’ll be crossing any off the list this month since I haven’t yet and July is already half over. (True to the song again! – July, she will fly, and give no warning to her flight). But I’ll make some more progress towards my 1000 miles goal, and maybe also the run club one. How are you doing on your resolutions? Done yet? Change any? And isn’t it crazy how much sense that song made in my post? Hey, it’s May! Time to check-in on my resolutions (detailed list here). 3. 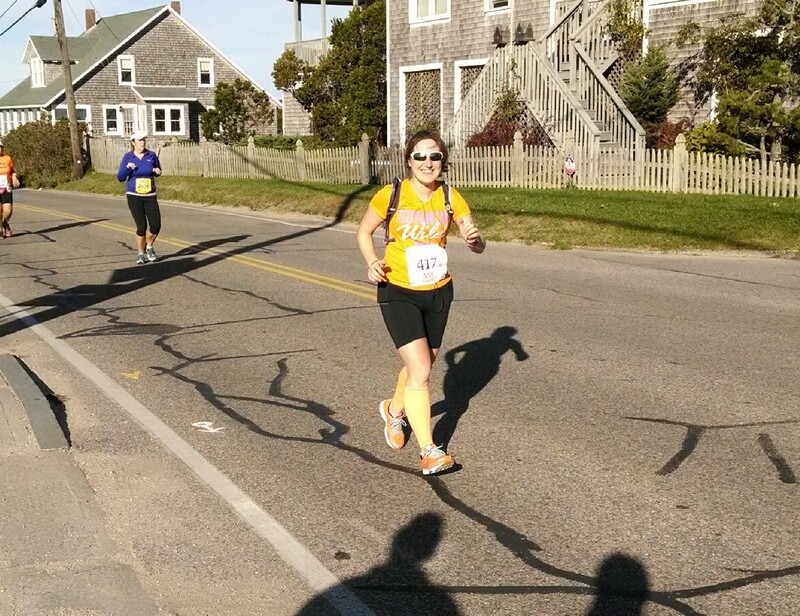 Run a Marathon – Cape Cod? Manchester? Time to start training! More on this later. 4. Keep a Running Journal – Success, but I hated it. I’m going to try again. 5. Join a Running Club – I hear they do group runs of 5 or 8 miles on Saturdays. I haven’t done anything with this information, but I know it. And knowing is half the battle. 7. Run 2014! (kilometers, that is) – This one is officially changing; 2014k (1250 miles) was an aggressive goal, and I’m just not going to make it. I’d have to run more miles per month for the rest of the year than I did in the peak of marathon training last year. That’s unrealistic. I am now aiming to Run 1000 miles in 2014. This is 100 more miles than last year. 8. Beat Jeff’s 5k PR – I’m thinking Fall or Winter for this one. I’m not sure I’ll run a 5k before then. I think I’m keeping on track so far. The year is not even half over!